NetDialog is a leader in the field of Network and Application Performance Monitoring, based in Utrecht, the Netherlands. We work with partners to deliver our NetX Software-as-a-Service across the globe. At NetDialog, we continuously invest time and effort in the development of our professionals. They form the backbone of our company. 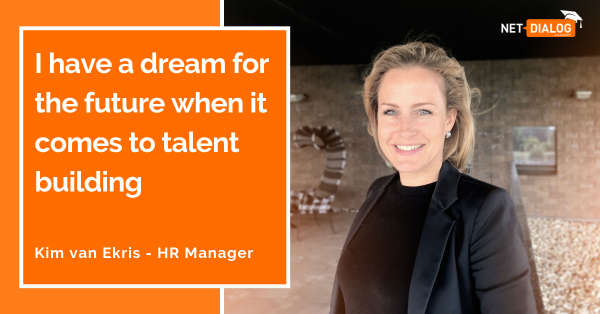 Our internal talent development program enables them to grow on a personal and professional level, so they can keep adding value for our partners and customers. NetDialog offers a dynamic and challenging work environment with lots of space for individual responsibility and initiative. As part of our team, you will have the opportunity to develop your career and go beyond yourself. If you are interested in receiving further information, please contact Ms. K. van Ekris (HR Manager). Applicants can apply by sending their application letter including resume to info@netdialog-int.com.